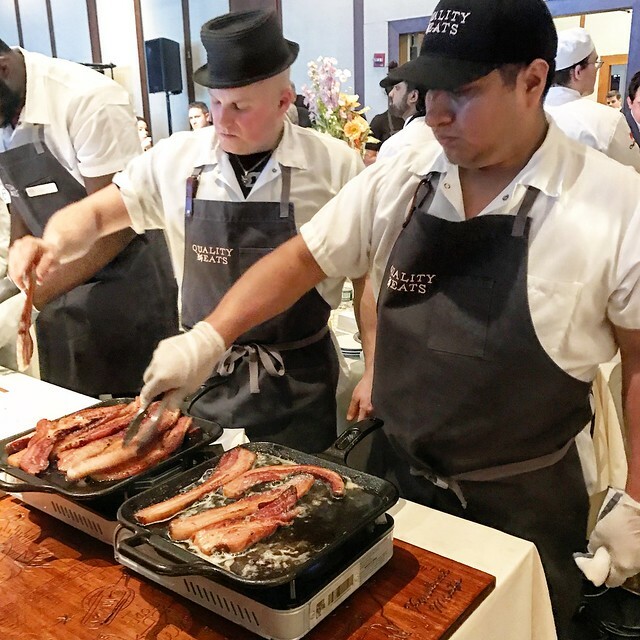 Earlier this month, the Careers through Culinary Arts Program (C-CAP), hosted their annual fundraising gala at Pier Sixty in Chelsea Piers. 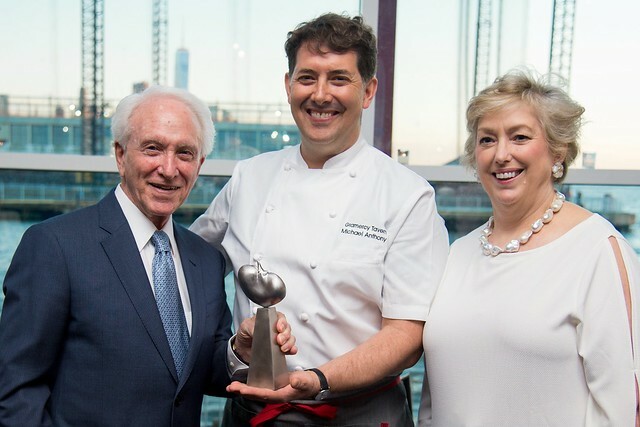 The evening honored Chef Michael Anthony of Gramercy Tavern, Untitled and Studio Café at the Whitney Museum of American Art. 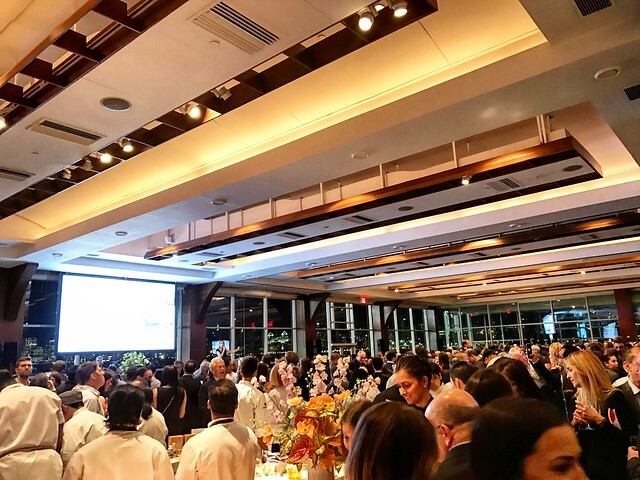 Over 700 guests attend to see Chef Anthony presented with the C-CAP Honors Award, recognizing him for achievements and contributions to the culinary industry as well as his commitment to nurturing the next generation of chefs. C-CAP is a non-profit that provides career opportunities in the foodservice industry for underserved youth through culinary arts education and employment.The benefit raised nearly $1,000,000 to support scholarships as well as educational and career opportunities for disadvantaged youth pursuing careers in the restaurant and foodservice industry. 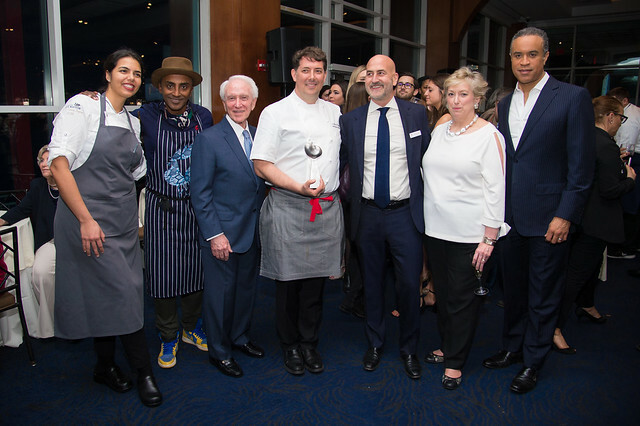 Notable guests included Richard Grausman, Founder and Chairman Emeritus of C-CAP, WCBS-TV News Anchorman Maurice DuBois, and Marcus Samuelsson who presented the C-CAP Honors Award, an original stainless steel sculpture by Philip Grausman. 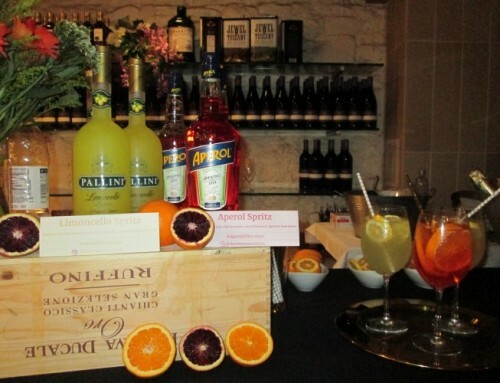 The event included a silent and live auction by Christie’s auctioneer Chloe Waddington. 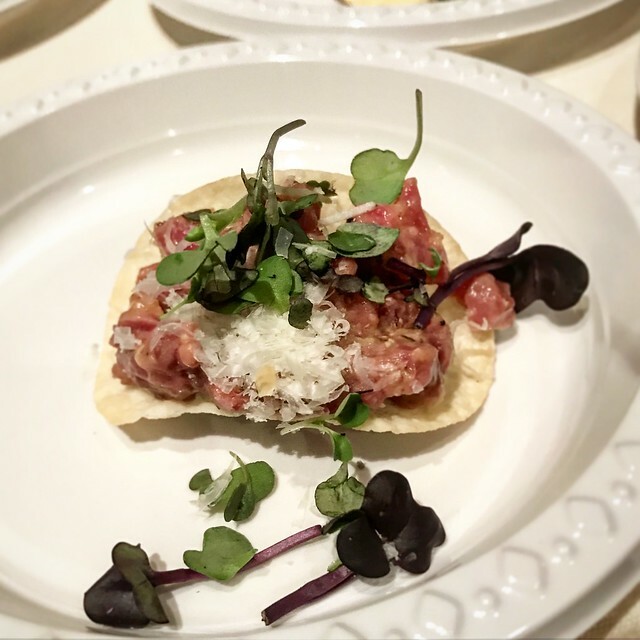 Lots of great auction items were showcased, but ultimately all of the tasty dishes stole the show! 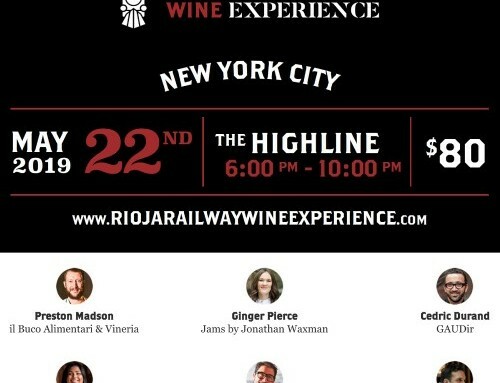 The all-star lineup of the world’s best chefs and restaurateurs included Michael Anthony, Marcus Samuelsson (who is also a C-CAP Board Member), Michael Stillman, Abram Bissell, Daniel Boulud, Aaron Bludorn, John Fraser, Markus Glocker, Alfred Portale, Michael White, Javi Estévez (La Tasquería de Javier Estévez in Madrid), C-CAP alumni Giovanna Delli Compagni (Asiate), Cesar Gutierrez (Café Boulud, Betty Peña of Pig and Khao), Swainson Brown (The Writing Room), and Yvan Lemoine (Union Fare). 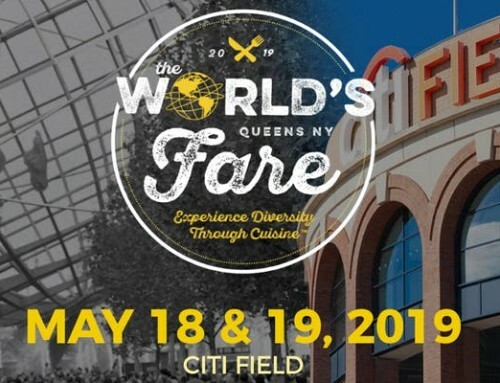 More than 60 C-CAP high school students and alumni assisted the chefs. 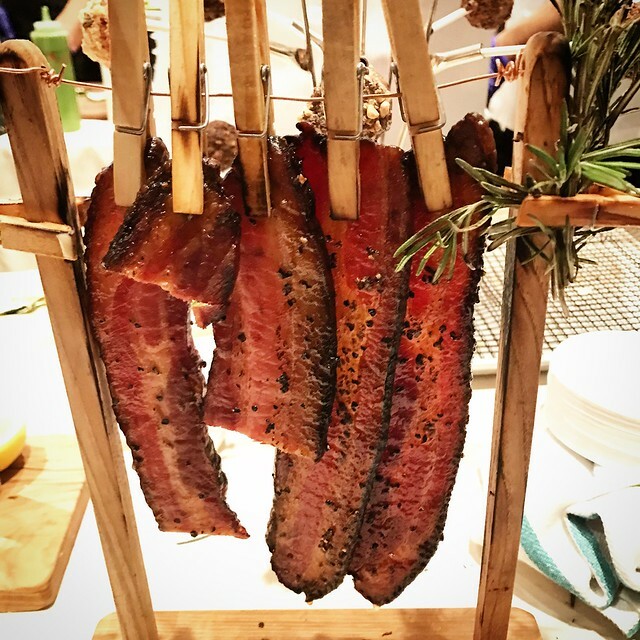 We had the opportunity to see Chef David Burke in action representing Tavern 62, where he and his team had an impressive display of grilled zucchini with chili and parmesan on a clothesline, along with bacon airing out on display. 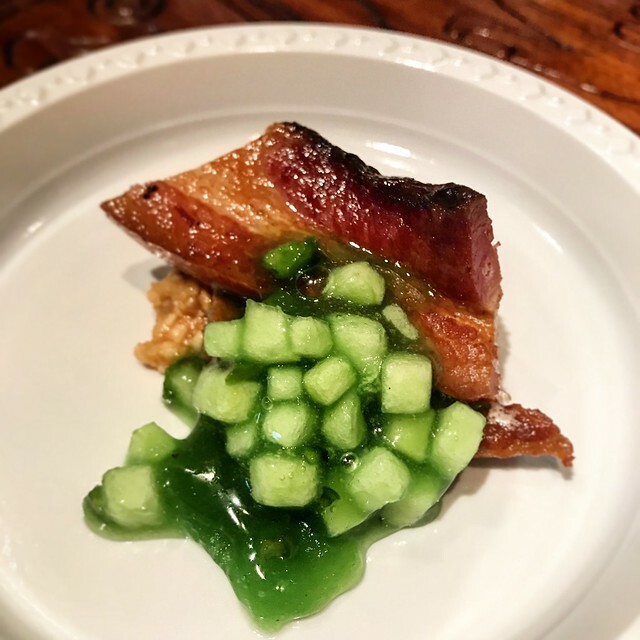 Ryan Bartlow of Quality Eats grilled up some thick-sliced Nueske’s bacon on a bed of peanut butter and topped with a spicy jalapeno jelly. A creative take on the basic PB&J! 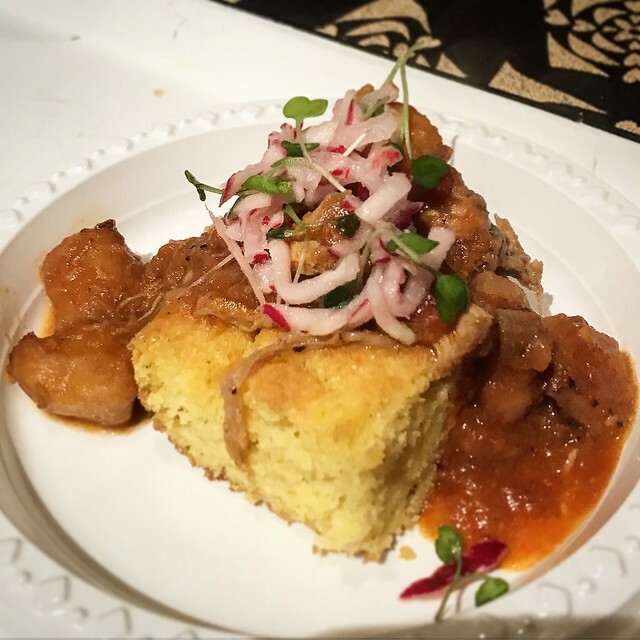 We loved the comfort food from Carla Hall’s Southern Kitchen where she served braised chili pork and plantains over delicious cornbread. 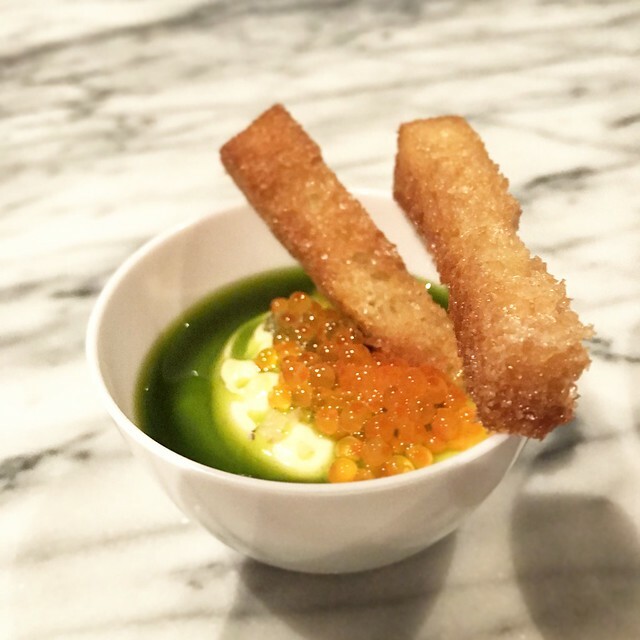 Another favorite was a dish titled “Eggs on eggs on eggs” by Abram Bissell of The Modern, comprised of trout roe, egg yolk, and a fried egg puree with dill and warm brioche. 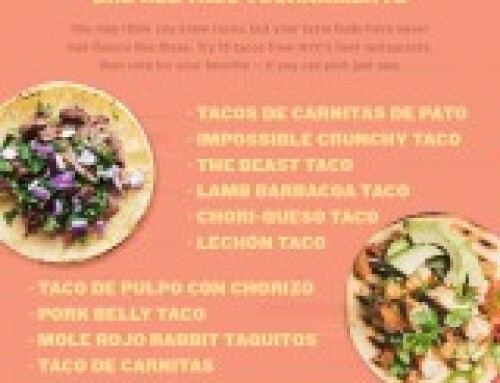 A must for egg fanatics! 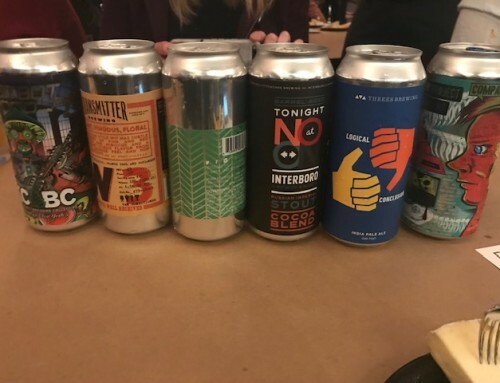 There was also an excellent selection of seafood options. 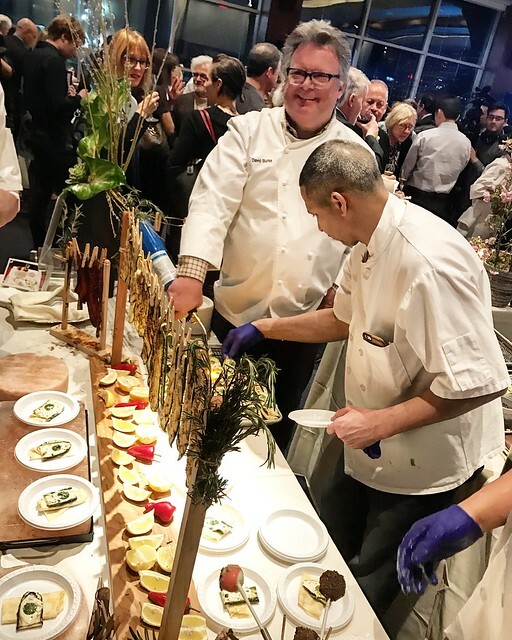 We loved the salmon tataki goma miso ponzu from Matt Hoyle of Nobu 57, as well as the grilled swordfish with pickled lemon and black pepper yogurt from Bill Telepan of Oceana. 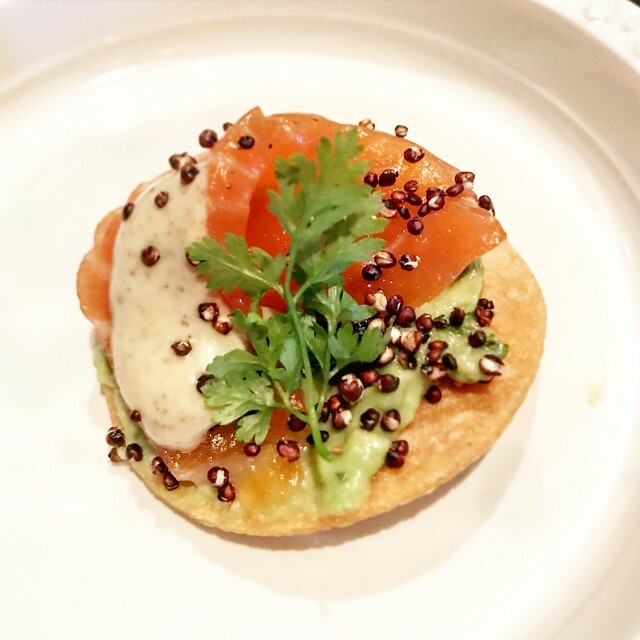 Philip DeMaiolo of Abigail Kirsch served a 24-hour coriander and sea salt cured Atlantic salmon with sauce gribiche. An evening is not complete without an array of desserts. 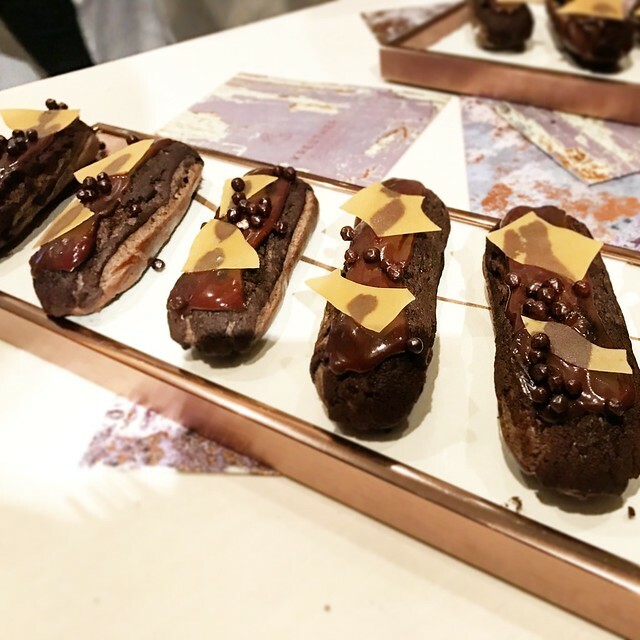 My personal favorite was the chocolate éclair au chocolat by Marc Aumont of Kreuther Handcrafted. The chocolate was not overly sweet so it would be possible to enjoy multiple eclairs in one sitting. 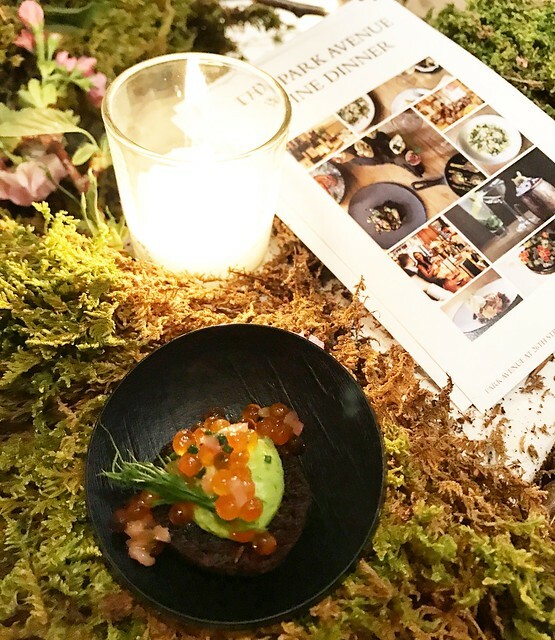 We loved the display of cookies and milk by Miro Uskokovic of Gramercy Tavern/Untitled, which included triple chocolate chunk cookies, oatmeal cookies, and prume rugelach with a small cup of milk. Sarabeth Levine‘s triple chocolate-chocolate pudding was so popular that they ran out early, clearly a crowd favorite. 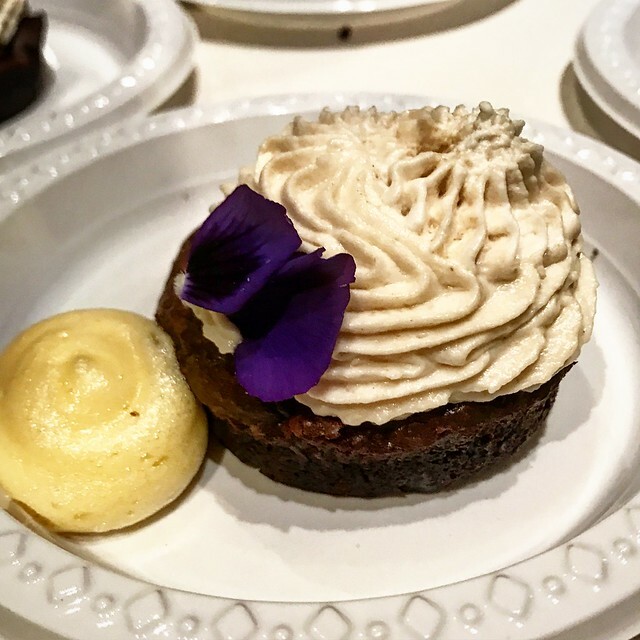 We also were impressed by the flourless chocolate tart with mocha cream, a creation by Michael Lomonaco, Wayne Harley Brachman, and Daniel Rutledge of Porter House New York. 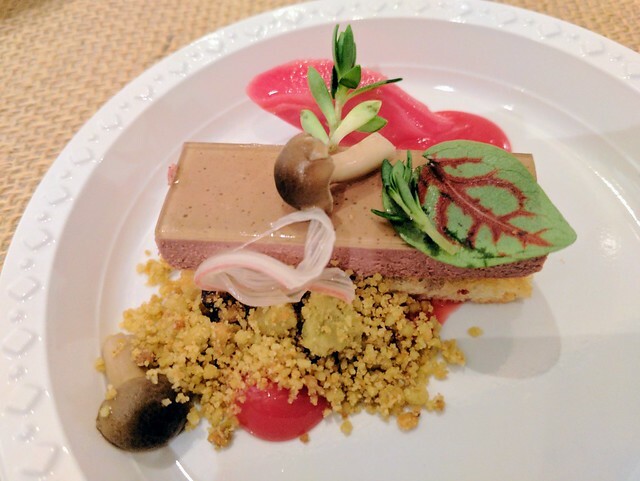 Thank you to all the C-CAP members and wonderful chefs for another successful event!